Nice 4 wheel scooter with mirrors, lights, signals, horn. 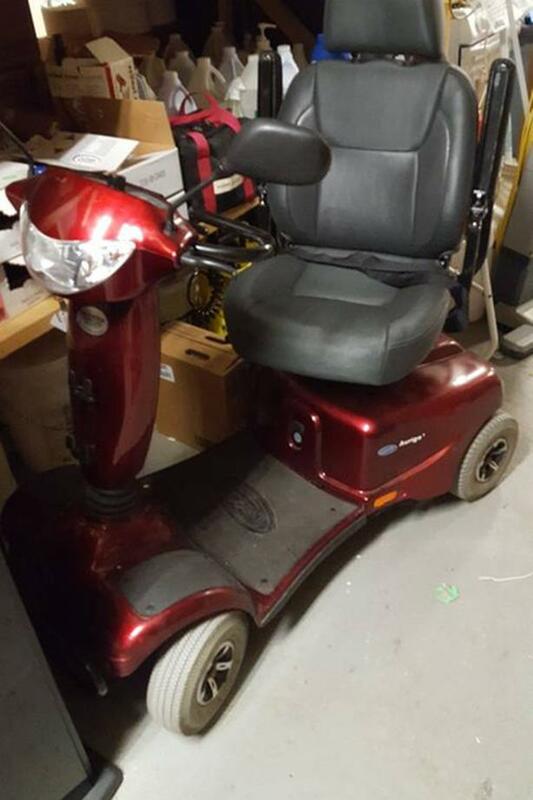 Special needs client bought from Salvation Army, but he does not need one. Batteries unfortunately week, so will need new ones (Battery places like Edmonds Batteries a lot cheaper than scooter places).